Let’s cut to the chase. Skip the small talk and get right to the point, because that’s what you’re here for right? You want the juicy details. 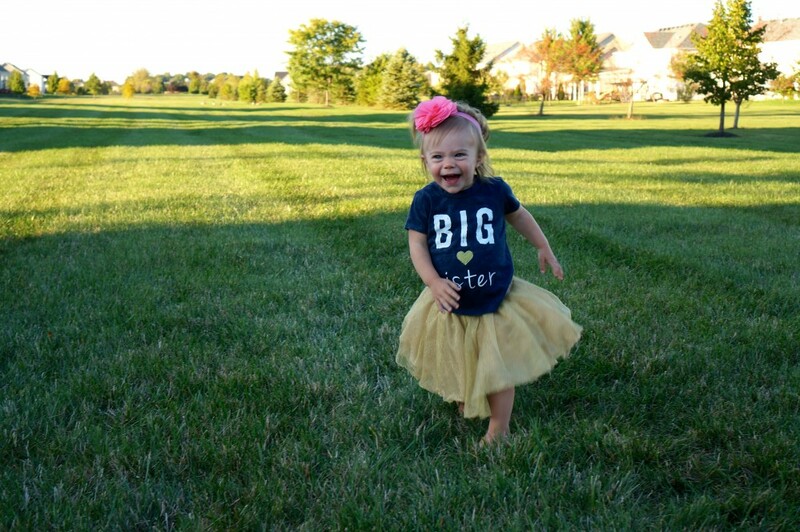 Lottie’s Going to be a Big Sister! I pondered a lot about how to announce this pregnancy. I have a hard time with the whole “it’s not Facebook official yet.” Seriously? I have to warn everyone that it’s “not on Facebook yet”, like it’s not a valid pregnancy until it’s posted. I have already shared my news with a lot of people as I see them. I love telling people in person. 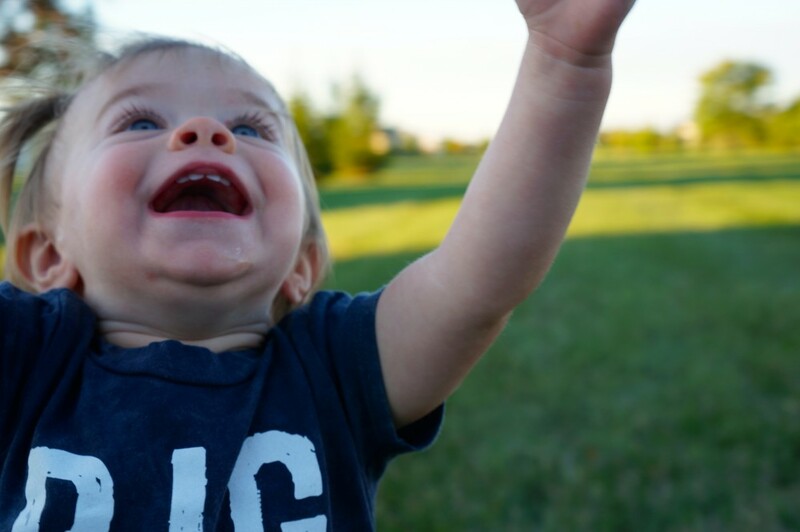 I think having a baby is very personal news and I much prefer to share the joyful news face to face, but that of course is not always an option. YAY! 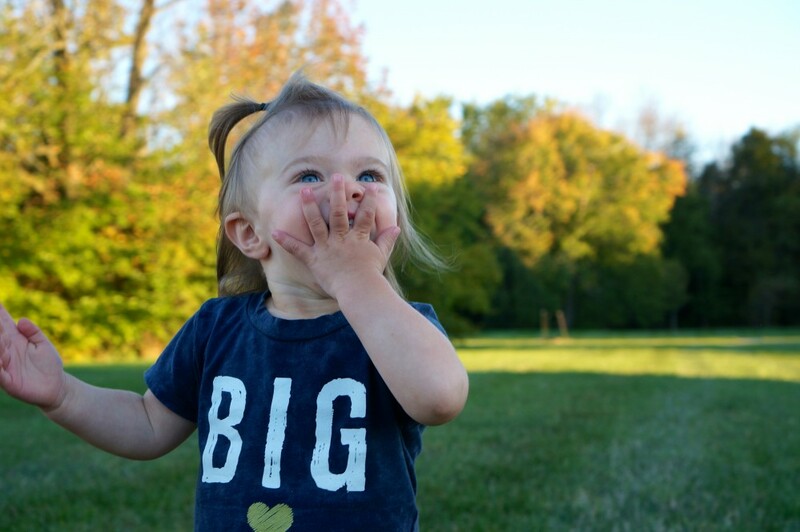 SQUISHY BABY COMING MAY 2016!! 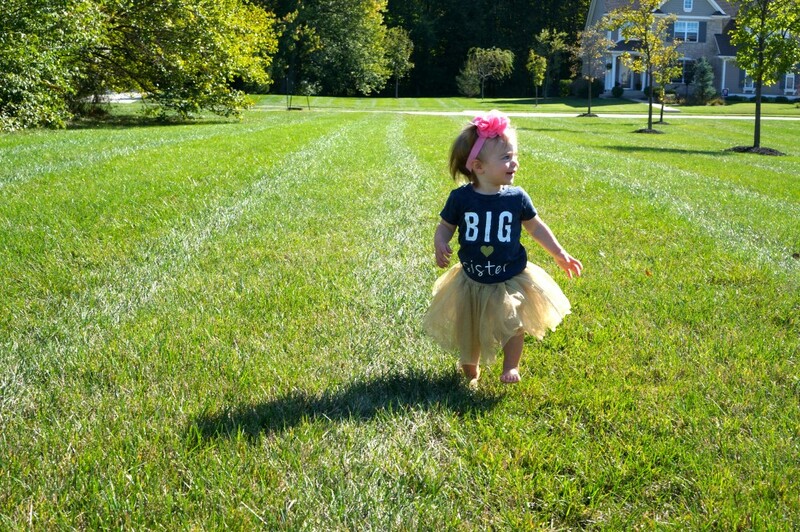 On September 1st, 2015, I found out Lottie Rose is going to be a big sister! My emotions have been on overdrive ever since. I knew the few weeks leading up to September didn’t feel right – and three weeks later those two pink lines explained so much! In those three weeks I caught a cold (I rarely get sick), I had incredibly painful headaches (haven’t had those since last pregnancy), my low back pain was horrible and I was up all night unable to sleep. Three months later I’m still processing the excitement. I have grown to love being a mother and feel so grateful every day that I get to spend my time at home with Lottie. Watching her personality grow and seeing how strongly she loves, how big she smiles and how loud she laughs is the best feeling in the world. I am amazed at the mothering instinct she has already at such a young age. The way she takes care of her dolls and hugs everyone, even strangers, this girl loves deeply. I can already see how much of a wonderful big sister Lottie will be and that brings a smile to my heart. How can I possibly have room in my heart. Charlotte Rose made me a mom. 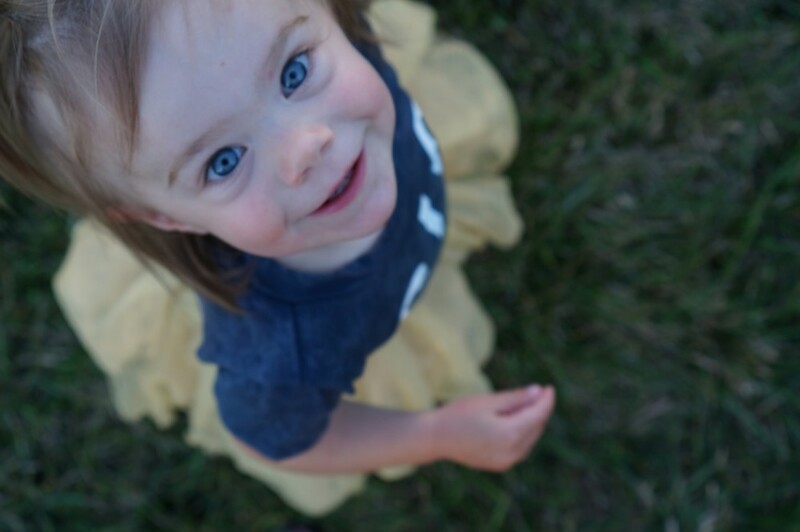 My love for her spills out of every ounce of my being, and it is hard to imagine that I will have that type of love available for another baby. I was told by a close friend (ahem Krista R @ Raising Robinsons), you don’t make room in your heart for #2, you grow an entirely new heart for each kid. I see my friends who have multiple kids and their love capacity expands with each kid, I can’t wait to experience this for myself. Let’s just say Josh and I know how to prevent a pregnancy and we definitely weren’t doing any of that. I breastfed for a year and after having one period, here we are again. I announce this with cautiousness. 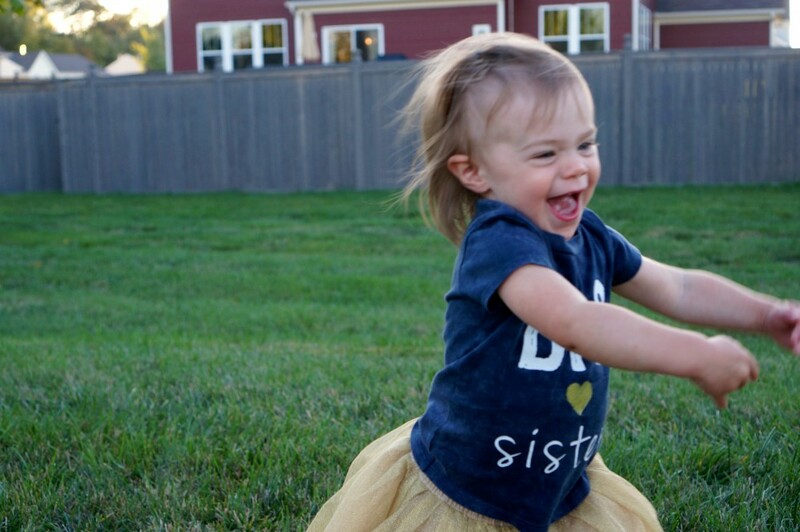 I know I am lucky this pregnancy happened quickly, and I say I announce with care because I know there are friends and readers who have been trying for months – maybe years to conceive. In no way do I want this to come off as a bragging “I’m pregnant” post. I know every time someone announces, it stings a little, and you think to yourself “when is it my turn?”. Yes, I’m very excited for our new addition, but I’m still waiting, hoping and praying with all of you and saving excitement for when you announce. The aches and pains, swollen ankles, and emotional roller coasters…it’s all starting again. The weight gain and constant peeing and maternity clothes are all coming back. Pregnancy is a miracle that I get to participate in, and as honored as I feel and as much as I love every little movement and kick, it sure does take a toll on your body. Everything expands and stretches and hurts in places you didn’t even know you had. I really do feel good. Luckily, I have pretty uneventful, boring pregnancies. Compared to many of my friends I can’t complain. Of course there are the headaches and swollen ankles, and the tiredness struggle is real, but mostly I get through the day without many complaints (so far). Are you going to find out the gender this time? We’ve gone back and forth on this for a few weeks and I think we’ve ended on NO (sorry mom and dad)! We are going to let it be a surprise once again. As much as my curiosity is pulling at me in every direction, once I make it past the 20 week appt it gets easier and more exciting as you count down the weeks until we get to find out. Since we didn’t know for our first, all of our 0 – 3 month baby stuff is gender neutral so we don’t need to worry about not being prepared. Josh and I would love to have a boy, but we’ve been doing girl for the past 17 months. We have our routines with this little girl and I would love to have a second tutu walking hand in hand with me. We will be thrilled either way. These past 14 weeks have flown by. Like seriously, flown. I’ve been running after Lottie Rose and rarely have time to remember that I am actually pregnant. I’m showing a lot earlier. With my first pregnancy you wouldn’t have been able to tell I was pregnant until I was 20 weeks, and that was if I stuck out my belly a little bit. This time around, the moment the two pink lines showed up on that stick, my belly had popped out taunting me. Now at 13 weeks, some might look at me and think “fat or pregnant”?, but I definitely feel pregnant. Last pregnancy my thyroid numbers were high and that was causing me to have horrible migraines. I went on medicine to regulate my thyroid, which helped a little. This time my headaches have been few and far between and my thyroid numbers based on my blood test are good. I’m having them retest at 28 weeks to double-check, but so far so good! When I was pregnant with Lottie I was able to eat on a schedule, drink enough water, exercise, sleep through the night and rest my feet whenever I pleased. Now I’m running after a toddler and a schedule for myself is non-existent. I’ve been more nauseous in the last few weeks, mainly because I forget to eat, or don’t eat enough because my main concern is make sure Lottie is taken care of first. Working on this. Now that the news is out there I’m looking forward to updating the blog again on my pregnancy workouts, weekly updates and excitement as we plan for #2! Congratulations to you and your family! We were tablemates on a cruise – when you were pregnant – so that’s how we know you best! What a wonderful adventure. Thank you! We are back on a cruise after Thanksgiving 🙂 – I’m sure our dinner group won’t be as fun as you two! Congrats wishing you lots of happiness and joy!! Thanks! We are excited to see where this next adventute takes us! CONGRATS!!! You guys are the cutest family, can’t wait to see you as a family of 4. This warms my heart!! Read every word! Lottie is going to be the best big sister. I predict a little girl this time and then you’ll have a boy ? Most beautiful post! God is SO good! So thankful for Lottie Rose, Baby 2 and their mommy and daddy. We are so grateful to experience this life and friendship with you. Facebook Official CONGRATS! !